With the new Import Photos feature, organize your photos as you acquire them from your camera or other storage device. Save time by setting categories, keywords, EXIF, IPTC and more as you import new images. Simultaneously rename, auto-rotate, delete, set the destination and create backup copies. View, sort, cull and compare your photos in a fully customizable interface with unrivalled speed and ease. Select any thumbnail to see a larger preview, or double-click to fill the screen. Sift through thousands of shots and identify the ones you want to keep using one-click Visual Tagging. Compare up to four images at once in greater detail to select your best shot. Browse your existing collection instantly. 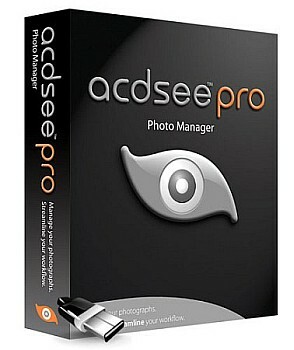 Unlike other photo applications, with ACDSee Pro you don’t need to import files that are already on your system and connected devices.